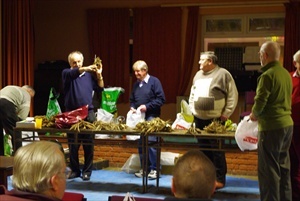 Over 40 members were at this year's tuber sale. There were 70 different varieties of tuber for sale, a significant increase on last year. 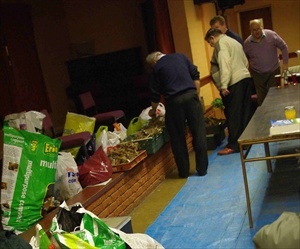 A complete list can be seen here :Tuber Sale Prices 2010. Below Ron and team are looking at what has been brought for sale. Although not reaching last year's record price for the new Weston Corsair, £5.90 was paid for Rossendale Rattle, a small ball. 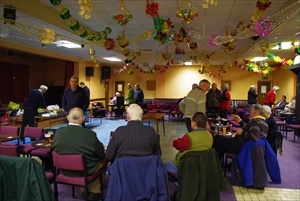 Here we can see the moment that auctioneer Ron secured the winning bid for Rossendale Rattle. 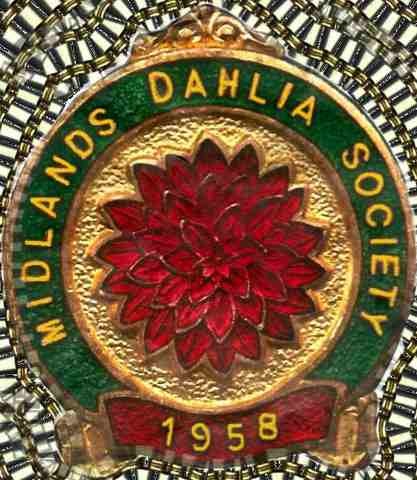 Another high price was obtained for Blyton Royal Velvet a purple miniature ball, - £5.40. 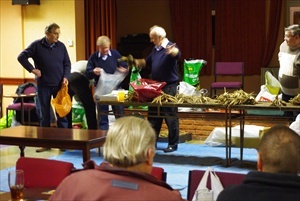 Here Ron tasks one of the auction team to take it to the successful bidder.